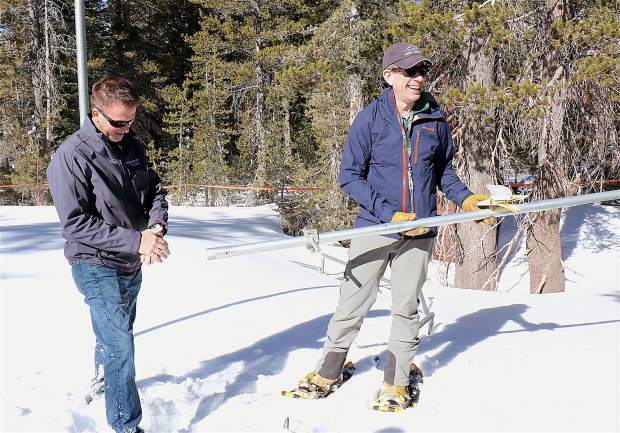 Truckee Meadows Water Authority Senior Hydrologist Bill Hauck, left, helps Jeff Anderson of Nevada Resources Conservation Service measure the snowpack at Moun Rose SNOTEL site Feb. 5. Snowpack levels at Mount Rose summit haven’t changed much since the outlook in December, as measurements indicate the area is a month behind normal snow amounts — which could be considered drought conditions. However, the reservoir storage in the region this year are a buffer against a full drought overall, at least for two more years; Lake Tahoe is at a healthy, 81 percent capacity and Lake Lahontan at 74 percent. At an elevation of 8,800 feet, measurements conducted Feb. 5 at Mount Rose Ski Area’s SNOTEL site revealed 52 inches of snow depth and 62 percent normal, a mediocre result according to Hydrologist Jeff Anderson of the Nevada Natural Resource Conservation Service. However, snow amounts below 8,000 are near the lowest measure ever with a median of 25 percent. Around this time last year, the area had four times more snow, reaching more than 200 percent of normal. Donner Summit reached its third lowest measurement since 1922, while the Carson Basin and Mount Rose summit are both at their lowest rankings in 37 years. 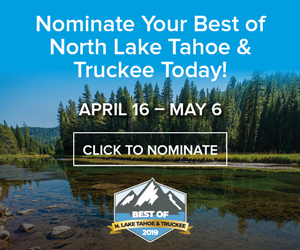 Current snow amounts in the Tahoe Basin rank fourth lowest since 1979 and 10th lowest for the Truckee Basin; none of those low years ended up with a normal snowpack by peak season, April 1. Anderson said this month’s snow amounts are slightly better than 2015, thanks to the wet resources the area gained from the winter 2017 storms. 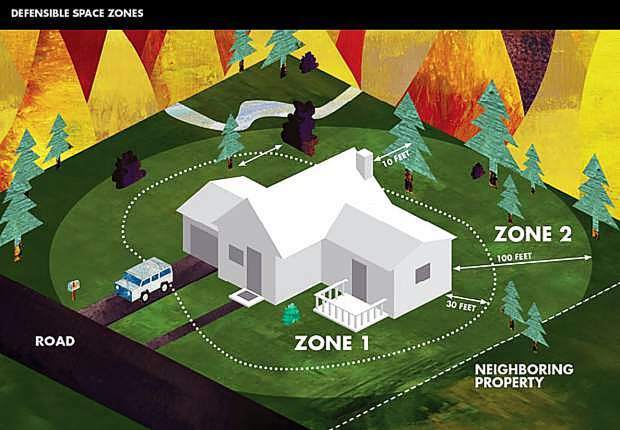 But it’s possible the area could experience a similar pattern from 2015; Anderson said it was a snowy season in 2011 before the four-year drought began the following year. With that, the region will have to wait and see what changes until the next scheduled measurement — and hopefully, it’s for the better.